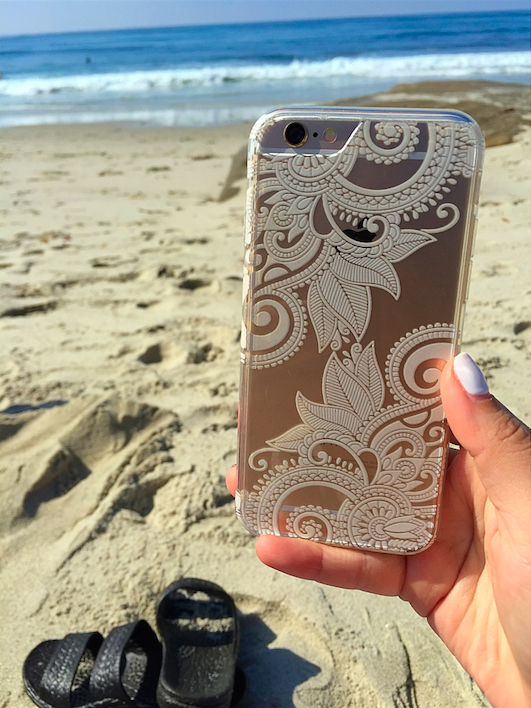 I’m currently obsessing over my new iPhone 6 case from Milky Way! I found them on Instagram and fell in love and when I got the opportunity to upgrade my phone, I knew I had to get one. They have a wide variety of phone cases and each case style is available in a variety of cell phones. They guarantee the ink will not chip. Many people, like myself, want a phone case that is not only cute, but will protect it. The cases are made of TPU silicone, so they are flexible but have a hard plastic-like feel to them. The case wraps around for frontal protection as well. Milky Way ships their cases from Glendale, CA. My case arrived in a short two days since they’re located so close! They also ship internationally. The customer service is excellent! As soon as they were aware of my initial problem they were fast acting to resolve it and sent me a brand new case as I had received a defective one!